Having the right orthopedic brace makes a big difference in a person’s life, health and comfort. Redstick O&P custom fits and in many cases can custom create orthopedic bracing to meet the needs of people of all ages and with many different needs. Our patients need orthopedic braces for many reasons including body part weakness, birth deformities, stroke, brain injury, spinal cord injury, sports injuries and many other reasons. 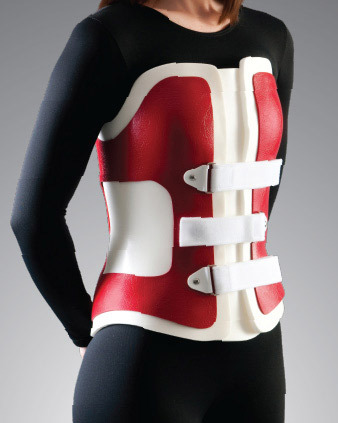 No matter the cause, Redstick O&P can fit each patient with the right brace. Our orthotists will perform a thorough evaluation of the area that would benefit from the brace and then work with the patient to find a solution that will work for them. Redstick O&P specializes in Total Contact Orthoses (Tone Reducing, NDT) designs that are anatomically superior and are beneficial in the treatment of neuromuscular disorders of children and adults with many needs including Spinal Bifida, Cerebral Palsy, Stoke and Spinal Cord Injury. Our braces can be custom made or off-the-shelf and created from the latest innovations in lightweight plastic or metal materials. Redstick O&P orthotists work with the doctors, physical therapists, and occupational therapists to create the proper orthosis for your individual needs. Knee Supports (Donjoy, Breg, Townsend, Generation II)ext. Orthopedic Footwear including extra-depth shoes and custom made shoes. Redstick O&P provides services for upper and lower extremity prosthetic devices including hands, arm and above-the-knee and below the knee limbs including specialty prostheses for running, swimming and activities including hunting and fishing. Our skilled craftsmanship use the latest in modern technology and components including carbon-fiber, acrylic resins and titanium componentry to create custom made appliances with unparalleled fit, comfort and function ability that restore both the physical function and the emotional balance and well-being of the person. The prosthetic professionals at Redstick O&P understand that losing a partial or whole limb can be both physically and emotionally challenging. A large part of our job is to make the patient comfortable with their new devices and to help them understand some of the concerns, difficulties and amazing opportunities that having the right, well-fitting prosthesis can bring. If you have any questions concerning deliveries, pick-ups or prices, or to make appointment, please don't hesitate to contact Redstick O&P today. Our friendly customer service staff will help find the best solutions for you.